The free state of Thüringen is located in the central part of Germany. From the northwest going clockwise, Thüringen has borders with the states of Lower Sachsen, Sachsen-Anhalt, Sachsen, Bayern and Hessen. Thüringen is the sixth smallest by area and the fifth smallest by population of Germany´s sixteen states. Its capital city is Erfurt. Thüringen has been known by the nickname of ´´the green heart of Germany´´, from the late 19th century, due to the dense forest that covers the terrain. The ridges of the western Harz Mountains divide the region from Lower Sachsen on the north-west, while the eastern Harz similarly separates Thüringen from the state of Sachsen-Anhalt to the north-east. To the south and southwest, the Thüringen Forest effectively separates the ancient region of Franconia, now the northern part of Bavaria, from the rolling plains of most of Thüringen. The central Harz range extends southwards along the western side into the northwest corner of the Thüringen Forest region, Making Thüringen a lowland basin of rolling plains nearly surrounded by ancient somewhat-difficult mountains. To the west across the mountains and south is the drainage basin on the Rhine River. After the capital city of Erfurt, important urban districts are Eisenach, Gera, Jena, Suhl and Weimar. Culture is thicker on the ground in Thüringen than in any other state in Germany. Castles, palaces, gardens and historical monasteries can be found dotting the landscape throughout the state. Thüringen boasts over 30,000 architectural and art monuments as well as 3000 archeological sites. Culture has shaped both the region´s heritage and its contemporary identity. Classicism is at home in Thüringen. In a one-of-a-kind ensemble, the Klassik Stiftung Weimar unites museums of art and literature, the historic homes of literary luminaries and royal palaces and gardens. This is where the legacy of Goethe and Schiller is kept alive. The spectrum covered by the collections, which have been pieced together over more than 400 years, is unequalled anywhere in the world. 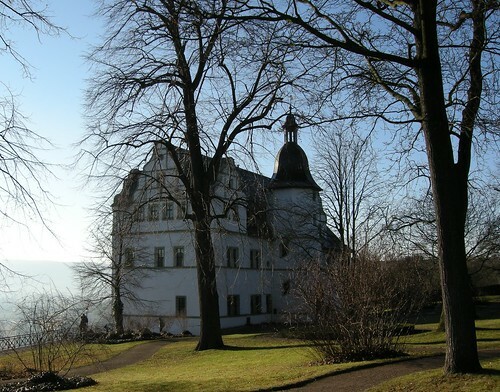 Among the most important institutions are the Goethe National Museum, Schiller´s Home, the Widow´s Palace, the Duchess Anna Amalia Library, the Goethe and Schiller Archive, the Nietzsche Archive and the Wieland Estate in Ossmannstedt. As a land of culture, Thüringen also possesses a museum landscape that has evolved over time and continues to grow, with a number of new additions in recent years. In a total of 180 museums, art and cultural treasures of international, national and regional significance are collected, researched and exhibited. The Buchenwald and Mittelbau-Dora Memorials Foundation, by contrast, is dedicated to the task of preserving the two concentration camp sites as places of mourning and commemoration, as well as documenting and researching the historical background behind the crimes committed there. One glance at the map shows that Thüringen has more theaters and orchestras per square kilometer than any other territorial state in Germany. This cultural diversity is nurtured and maintained. Thüringen has also made a name for itself over the past several years with its annual musical festivals: in summer the TFF Rudolstadt Roots Folk World Music Festival attracts crowds of music-lovers. 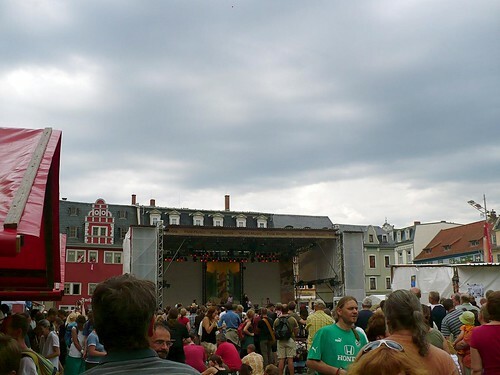 Other cultural high points during the year are the Kulturarena in Jena, the Kunstfest in Weimar, the Thüringen Bach Festival and the Thüringen Summer Organ Festival. Cooking in the German state of Thüringen is molded by its wide range of fruit and vegetable production, as well as its large forest. Meals in Thüringen are very healthy, consisting often of large portions of meat with rich sauces. Wurst and wild game are among the region´s specialties. Cakes also play an important role in Thüringen´s culinary traditions. They are found at every breakfast table, they are central to every coffee break and they are even offered to party guests as a midnight snack. However, unlike other regions in Germany, Thüringen mainly offers sheet cakes (Blechkuchen). In the area between the Harz Mountains and the Thüringen Forest, agriculture has long played a very important role. In addition, major industrial centers shape the economic realm in this state. Thüringen made a good job of getting to grips with the upheavals and structure change in the wake of the fall of the Wall. Manufacturing industry is the key sector driving growth, with a whole host of different branches represented. These include more traditional areas, such as optics, glass mining, wood/timber, metal products and the automobile industry, as well as branches, such as the plastic industry, solar energy and medical technology. The food processing industry is also developing into a significant economic factor for Thüringen. One of the world renowned optics manufacturers, Carl Zeiss AG, has subsidies in Jena. Carl Zeiss is one of the oldest existing optics manufacturers in the world. Now over 150 years old, Zeiss continues to be associated with expensive and high-quality optical lenses. Zeiss lenses are generally thought to be elegant and well-constructed, yielding high-quality images. Zeiss and its subsidiaries offer a wide range of products related to optics and vision. These include camera and cine lenses, microscopes and microscopy software, binoculars and spotting scopes, eyeglasses and lenses, planetariums and dome video-systems, optics for military applications (head tracker systems, submarine periscopes, targeting systems), optical sensors, industrial metrology systems and ophthalmology products. Saxony and Thüringen are the strongest eastern German federal states. The regional GDP in 2008 was €49.8b. Between 1995 and 2006, the Thüringen GDP/inhabitant evolved from €14,502.6 to €19,782.1. Erfurt, Weimar and other towns in Thüringen offer visitors an engaging mix of history and tradition, culture and leisure activities, the classical and the modern. In Weimar, the 1999 European City of Culture, there´s hardly anywhere that doesn´t in some way reflect the town´s rich heritage. For many years, visitors from around the world have flocked to the statue of Goethe and Schiller in front of the German National Theater and to a total of 27 museums. The UNESCO World Heritage site ´Classical Weimar´ comprises 16 individual buildings. But towns such as Erfurt, Jena, Eisenach, Altenberg, Meiningen and Gotha also offer plenty of cultural highlights. Erfurt is blessed with a wealth of attractions, including St. Mary´s Cathedral and the Church of St. Severus on Domplatz square, the Merchants´ Bridge and the long-established ega horticultural exhibition. Art and culture in Thüringen is closely linked to the work of representatives of Germany´s cultural and intellectual tradition. 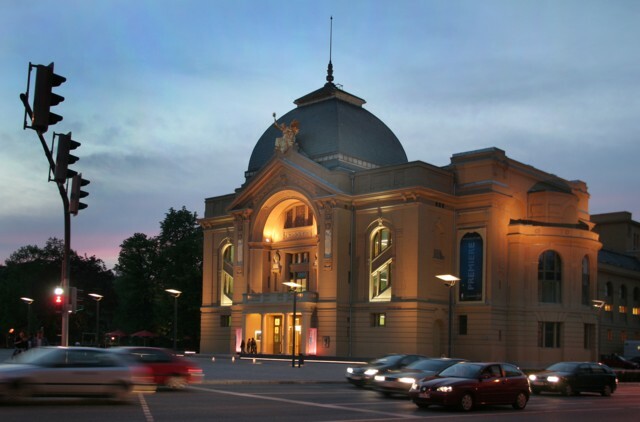 Museums, theaters, exhibitions and concert halls display the legacies of the writers Johann Wolfgang von Goethe and Friedrich Schiller, the composer Johann Sebastian Bach ant the painters Lucas Cranach and Otto Dix. Thüringen´s best known castle and the most famous landmark of the town of Eisenach is Wartburg Castle, which was designated a UNESCO World Heritage site in 1999. Besides Wartburg Castle, Friedenstein Palace in Gotha and the Dornburg palaces attract lots of tourists.